use for multiple modes of communications. can easily integrate and customize your communications. 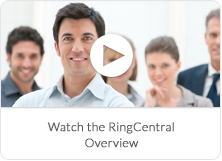 What is RingCentral Office ? RingCentral Office is a cloud-based business phone system. It combines advanced call management, reliable phone and fax service, conferencing, mobile apps for iOS and Android™, and full-featured IP phones that arrive preconfigured and ready for use. It’s that simple—for all your office locations.